Storytelling has been a part of Sal’s life since she was a child; her old sketchbooks are filled with drawings of magical worlds and their stories. She went on to graduate with B.F.A. from the Maryland Institute College of Art with an emphasis on painting and drawing, but dipped into the world of visual effects her senior year. She moved to Los Angeles, where she still resides, and became a visual effects artist and supervisor. After accruing credits and several Emmy nominations on series like True Blood, Banshee, Fringe and Once Upon A Time, Sal transitioned into 2nd unit directing for the television shows Greenleaf, Imaginary Mary and Step Up. She filmed a short Niles Canyon that received an Audience Award for the California Women’s Film Festival. One of her most recent commercials for AUCTIV was selected for the 2018 SHOOT Annual 16th New Director’s showcase. Other commercial clients include Adaptive Life Company, Steadicam and Uovo. 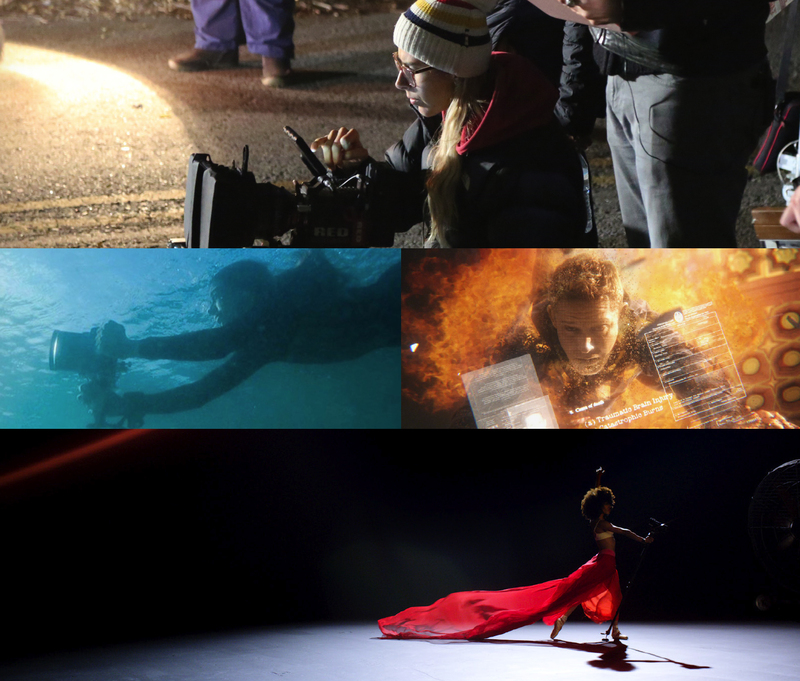 She is currently developing several scripts and is the first to film a live action drama on RED’s new Hydrogen phone, N.I., a short film starring Giorgia Whigham (13 Reason’s Why, The Punisher) www.nishortfilm.com. Additionally, Sal is partners with Jarred Land (CEO of RED Digital Cinema), Francis Kenny ASC and Richard Crudo ASC in Master Cinematographers (MC4), a multipurpose company focused on creating revolutionary innovations; the STEADICAM AIR and the SQUISH. Check out their website at www.mc4.la.